When more than 130 Franklin Food Elves set out to collect gifts from their neighbors for the Franklin Food Pantry for the “12 Days of Donating” Campaign, their load was lighter than the year before. But that’s what they hoped for. The Elves encouraged more monetary donations this year so the Pantry could purchase fresh food for clients. The community rallied behind the Food Elves’ appeal and donated $13,273 and 3,696 pounds of food. Last year’s total yield from the Food Elves’ drive from residents was $1,943 and 8,001 pounds of food. Erin Lynch, left, Franklin Food Pantry Executive Director, and Ellie Teixeira, lead Food Elf, greeted more than 130 Franklin Food Elves as they dropped off donations collected in the “12 Days of Donating” Campaign this month. Photo courtesy of Bob Teixeira. With monetary donations, the Pantry can purchase fruits, vegetables, dairy products, eggs and meats. 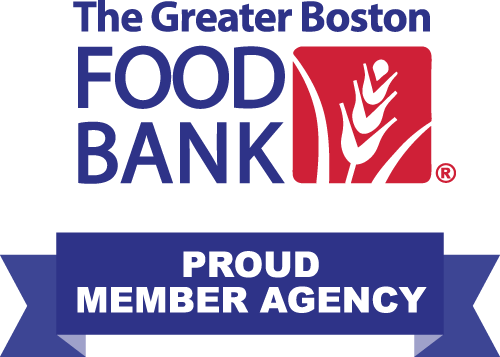 As a Greater Boston Food Bank partner, the Pantry purchases items at a fraction of what it costs in the grocery store, therefore making donation dollars stretch even further. In addition to neighborhood collections, the elves placed red food donation bins at the following local businesses: Chestnut Dental Associates, Dean Bank, Dean College, Emma’s Quilt Cupboard, Feet In Motion School of Dance, Franklin Agway, Franklin Downtown Partnership Office, Franklin Mill Store, Keefe Insurance Agency, Murphy Business, and Pour Richard’s Wine & Spirits. As part of their commitment to the Food Elves, the business partners have also pledged to donate $200 each to the Franklin Food Pantry. The Franklin Food Elves is a charitable community service group comprised of more than 130 dedicated elementary, middle and high school students. This was the eleventh year of the neighborhood drive, and the sixth year the elves partnered with local businesses to create one of the Franklin Food Pantry’s most successful collection drives. The food and cash will help sustain the pantry’s 504 client families through the winter. Pictured here are just a few of the 130 elementary, middle and high school students who comprise the Franklin Food Elves. We are so grateful for the gifts they bring us from such a supportive community. Thank you!